Get a live demonstration of the Knowledge Center solution. Access thorough and extensive research and analysis on a range of diverse industries from MarketResearch.com partner, MarketsandMarkets. 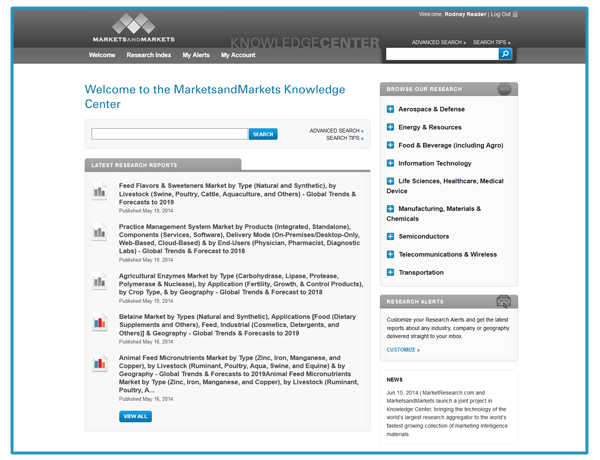 The MarketsandMarkets Knowledge Center provides a comprehensive collection of more than 2,000 syndicated market research reports across nine different industries. Their strategic reports provide you with detailed information on best practices for competitive landscaping and benchmarking, economic forecasting, roadmap analysis, data tables, current trends and growth prospects. Gain predictability of spend and reliability of coverage with unlimited access to a vast library of research reports and industry data for one fixed cost. 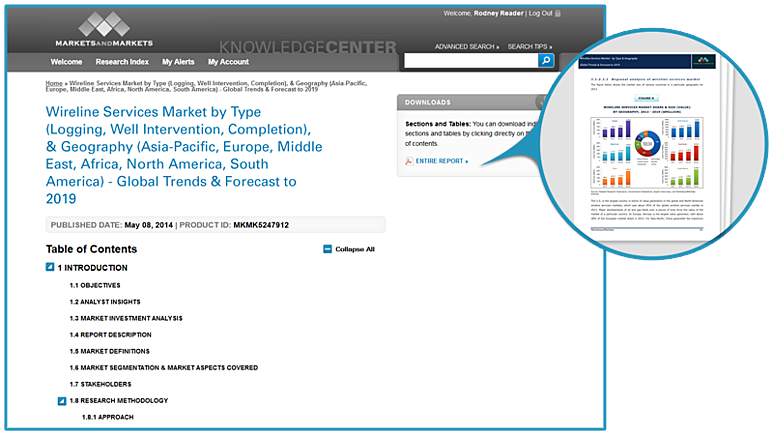 With a Knowledge Center subscription, you gain organization-wide rights to the use of content from an entire catalog of information. You can easily search more than 2,000 new and existing research reports, including thousands of data tables, tens of thousands of pages of analysis, and more than 500 new research reports to be published over the next 12 months. You will maximize your research budget through subscription pricing, saving you valuable dollars off the total list price of these reports. For one price, you will gain access to the entire library of MarketsandMarkets research reports published during the subsequent 12 months. And, because a Knowledge Center subscription grants global license and use, you can have the unprecedented opportunity to supply vital information to your whole organization. 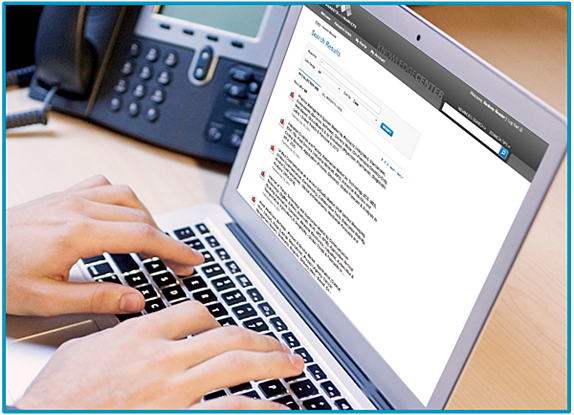 Reduce time and stress with the powerful search platform from research industry leader, MarketResearch.com. Access optional workflow tools to track projects, assign costs, etc.